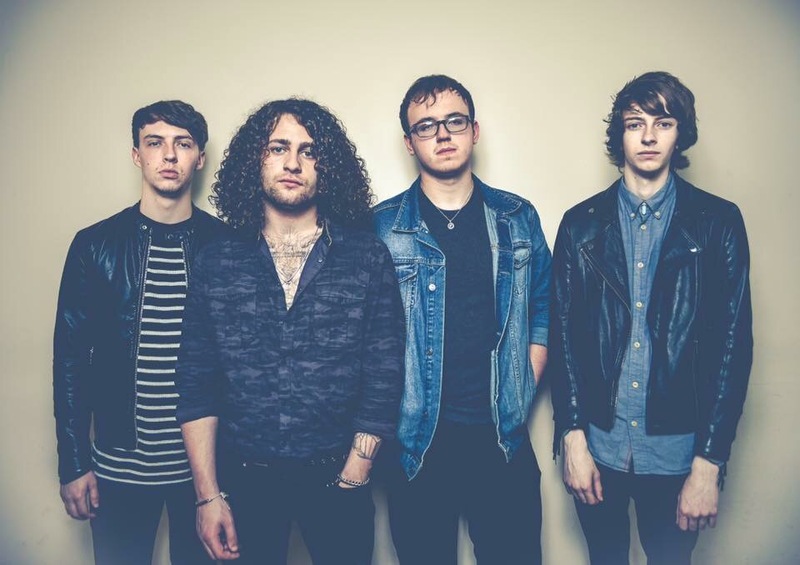 BAND FEATURE – Lincolnshire’s Local Limelight: Mint and The Vigilantes! Zak Rashid – Vocals and Guitar. Adam Shaw – Lead Guitar. Andy Maidens – Bass Guitar. Where in Lincolnshire are they from? Grimsby! A lot of people outside of Lincolnshire tend to have no idea what on earth I’m talking about when I mention places in the county, so Grimsby is probably best well-known for being one of the largest fishing docks in Europe a few decades ago, its League 2 Football Team Grimsby Town F.C., and being the home town of Strictly Come Dancing favourite Kevin Clifton! How long have the band been together for? Mint was born in early 2015 – according to a recent interview in the Grimsby telegraph, Zak, Sam, and Andy met whilst they were studying at Grimsby Institute, with the band’s lineup being complete when they bumped into Adam at a party. What genre of music would Mint come under? Alternative rock, with a real sense of urgence and drive behind their songs! The power and vibe behind Mint’s music can really be felt when they play live, as their shows have a growing reputation for being loud, crazy and extremely energetic! So, have Mint released any music to the world yet? Yes! You can find one of their tracks in fact on one of the largest playlists on Spotify (no big deal!) – Elise in the last few weeks has found its way onto ‘The Indie List’, and as a follower of that playlist myself, I was delighted to see the song on there! The Indie List has opened my eyes to several amazing groups who I listen to reguarly now, so it’s an exciting omen for Mint to be featured on there! These guys are awesome! Are they playing live any time soon? The lads have just kicked off their largest tour to date! They played in Leeds last week, but Mint are still touring for another full month, so there’s plenty of opportunity left to see them live. Below is a full list of tour dates on their current tour – book your tickets today! If you want to follow the exciting progress of Mint, they have profiles on a range of social networks including Facebook, and you can find out all the latest on the lads by clicking on this link to their Facebook page! – Mint’s Official Facebook Page! James Woodliffe (Curly) – Vocals and Guitar. Alex Earle – Bass Guitar and Backing Vocals. Joe Desmond – Drummer and Backing Vocals. As I mentioned in my live review, The Vigilantes hail from Boston, a town towards the south of the county. I can’t really say a lot about Boston, except it was the place in the UK who had the highest proportion of ‘Leave’ Voters, and that is arguably something you can’t be too proud to admit. But it makes the town well known, I guess! The group formed in 2013, so they’ve had time to find their feet within the music industry. Originally, the band started life as an Arctic Monkeys tribute group, but soon enough The Vigilantes established that they were a serious group and the following year they were already recording their own fresh material. What genre of music would the Vigilantes come under? ‘Lively groovy indie pop’ was how I described their sound in my live review – The Vigilantes definitely belong in the depths of the alternative genre, and I hate to make a cliche, but they are reminiscent of a young Arctic Monkeys! They also do both sides of alternative rock well – pacy rock anthems and chilled laid back acoustic are in their forte as I witnessed from their live performance. So, have The Vigilantes released any music to the world yet? Wow I find their sound so unique! Are they touring anytime soon? As far as I am aware, they have no shows announced yet happening within the next couple of months, but the lads have had a summer crammed with live shows, so they should be revealing more gigs in the very near future! Again, like Mint the group have set up their own verified Facebook page which is extremely handy, if you want to be the first in the know when The Vigilantes reveal any new songs and concerts! If you want to like them on Facebook, click on this link – The Vigilantes’ Official Facebook Page! I’ll be uploading more features about Lincolnshire bands in the neat future, but for now enjoy these two great groups! Previous Previous post: Why I believe debates such as my psychology course’s are helping towards reducing mental health stigma (and how it’s encouraged me to talk about my experiences).